The history of using field recordings, or ‘found sounds’ in music is one that goes back 100 years. This technique however is one that remains incredibly relevant as recent releases by the likes of Burial and Jon Hopkins show. Using field recordings is always a reliable way of adding some individuality to your recordings – nobody else will have these sounds in their sample packs. Snippets of field recordings can add layers of atmosphere to your productions, and you can even create sampler instruments out of the sounds you find – much better than a synth preset, right? The sound has been heavily processed and pitched down, and is incredibly atmospheric. Remember that the sounds you find are just a starting point; there is a hell of a lot you can do with them once you get them into your DAW. 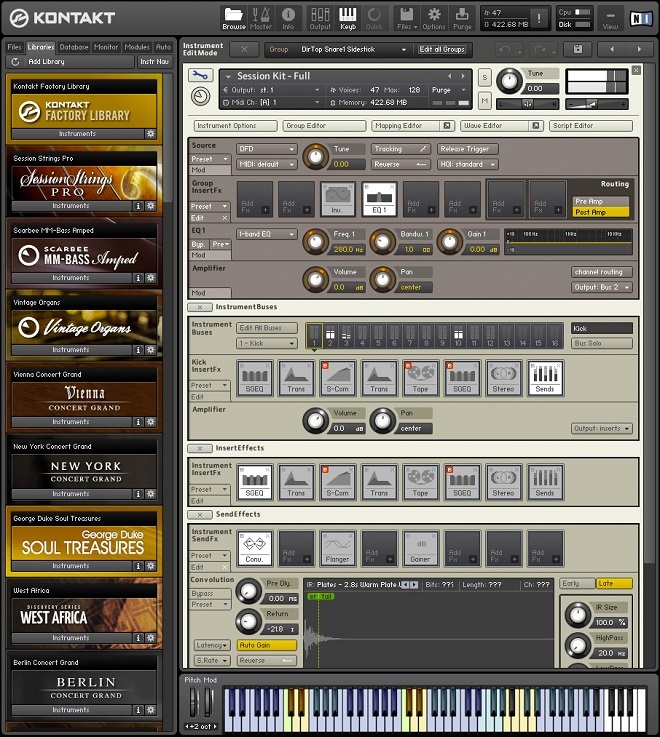 If you want to delve a bit more deeply into the world of field recordings and do more than just import your sample directly into your recording session, you may want to consider creating sampler instruments in a piece of software such as Native Instruments Kontakt. Kontakt is a powerful piece of software, and before we go into detail on how it can be used, take a look at the video below, which is a wonderful illustration of just how far you can take this idea. Composer Nathan Johnson worked with electronic artist Son Lux in creating the score for the movie Looper. They decided to create an entire ‘orchestra’ using found sounds, these sounds being put together as instruments in Kontakt. If you can create a score for a big budget Hollywood movie with found sounds, you can surely accomplish pretty much anything – it’s up to you how far you take this idea. 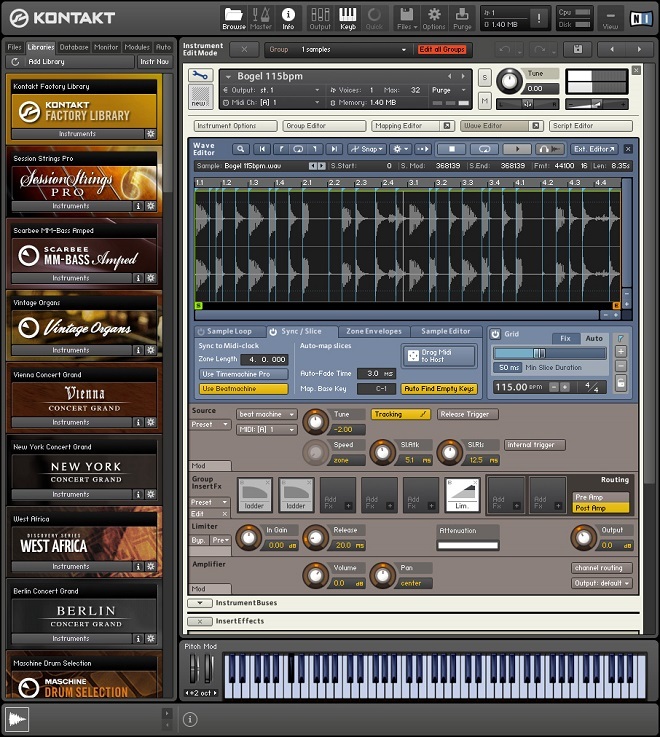 To get you started, we are going to take a quick look at some of the features in Kontakt (which you will have seen in the film above), to give you an idea of how you can approach the creation of these kinds of instruments. Kontakt can scan your audio files and automatically split them up based on where the transients are (see above). This allows you to quickly and easily map your samples to a controller keyboard. It is at this point that the fun starts, as there is a great deal of room for sample manipulation within the software. You can obviously loop sounds in Kontakt, but try doing this with recorded sounds that have some kind of pitch content in them, to create unique pads. For example, you could hit a radiator with a pen to create a ringing sound. If you modify the ADSR envelope of this sound so that it has a slower attack, a sample that started off sounding like a bell, takes on a more ‘strings-like’ quality. You can then set up a loop of a section within that sample and use it to build up a pad. You can do some really cool things with FX in Kontakt as well. There are numerous FX built into the software (see image below for some examples), and you can set these FX to change based on pitch or keyboard velocity. This is where you can get really creative. Perhaps you have recorded the sound of a door slamming and you want to use it as a snare; you can set up a velocity sensitive delay, so that the harder you ‘hit’ the snare trigger, the longer the delay lasts. Or perhaps you want to create an aggressive sounding synth from the sound of an engine. You can add a velocity sensitive distortion effect, so the harder you play the synth, the more distorted it gets. We are really just scratching the surface here as well. The more time you spend working with found sounds and sampler instruments, the more you will realise that the possibilities really are endless – you are limited only by your imagination!